The Clear Sky Chart forecast for Desert Center, CA, was dark blue all night for our favorite observing site. The NOAA forecast called for a high of 99 and low of 77. Often a night like this can have uncomfortably hot weather. Chuckwalla Bench is a little higher than Desert Center, so I was hopeful that the night wouldn’t be miserable with heat. It turned out to be lovely shirt-sleeve weather all night. Several of us were feeling dark-sky-deprived, so Jane and I were really looking forward to some quiet time with friends in our favorite desert location. I took the Astro-Physics Traveler (pictured at the top of my blog in a photo taken at Chuckwalla Bench) to attempt a little low-power astrophotography. As I mentioned, I was really rusty with the equipment and procedures, and am a beginner at astrophotography anyway, with a total of about four sessions under my belt. We were all out of practice; I think everyone on the trip left something at home or had some minor trouble. After warming up with the Double Cluster as a good focusing target, my main goal of the evening was to make my first real asteroid trail or animation. With Juno very much in mind from Jane’s What’s Up podcast, I decided it would be my second target. Jane and Gary were hunting down Juno visually while I was imaging it. We had a great time using a combination of images and TheSky 6 to make a positive identification of Juno. 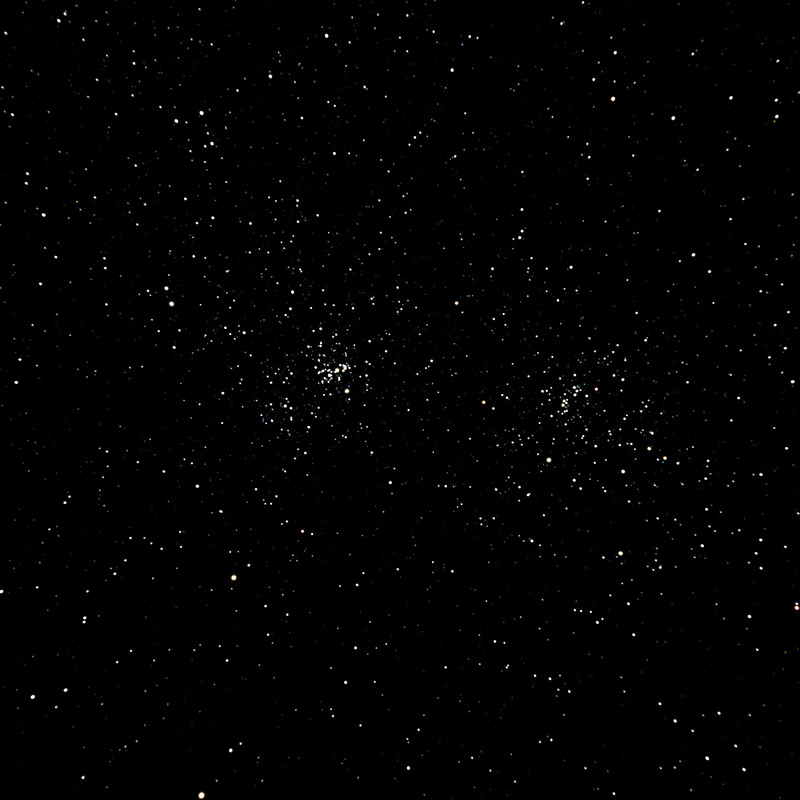 I collected four ten-minute exposures, and made my first asteroid animation above. 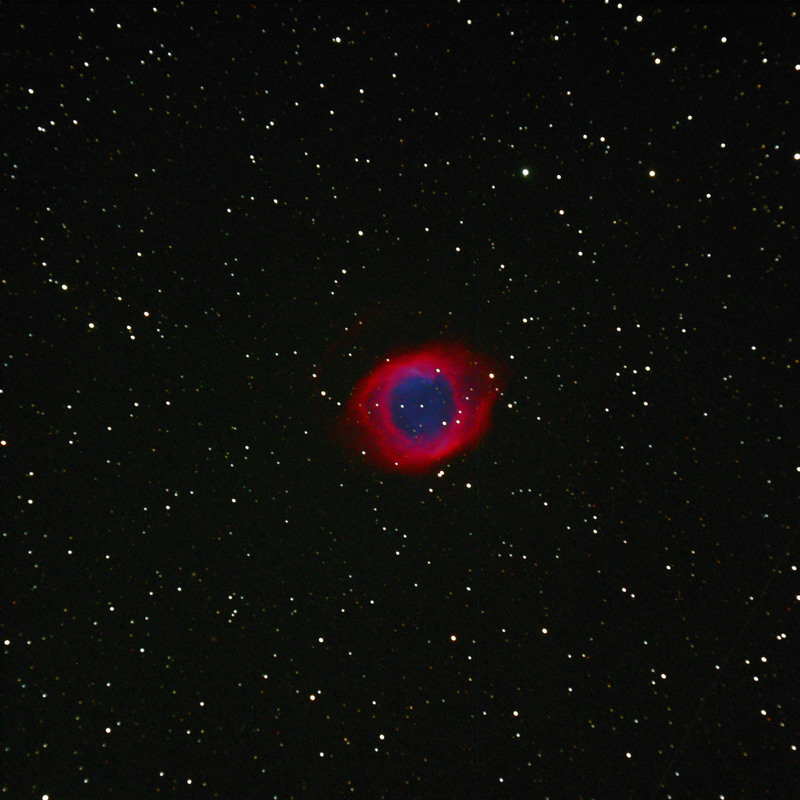 The Helix planetary nebula, crop from full-frame image. 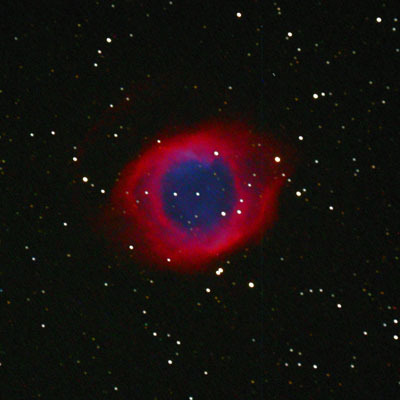 The Helix Nebula NGC 7293 is an irresistible target for a good wide-field telescope and a color camera. I combined three ten-minute exposures. 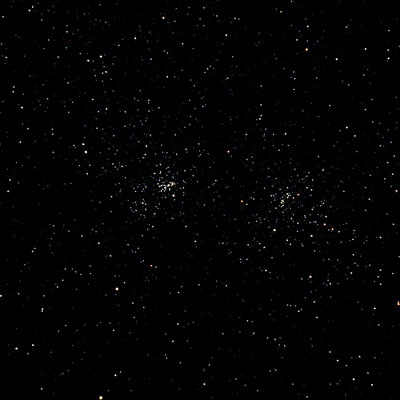 The image above is a crop — click to see the full field image. 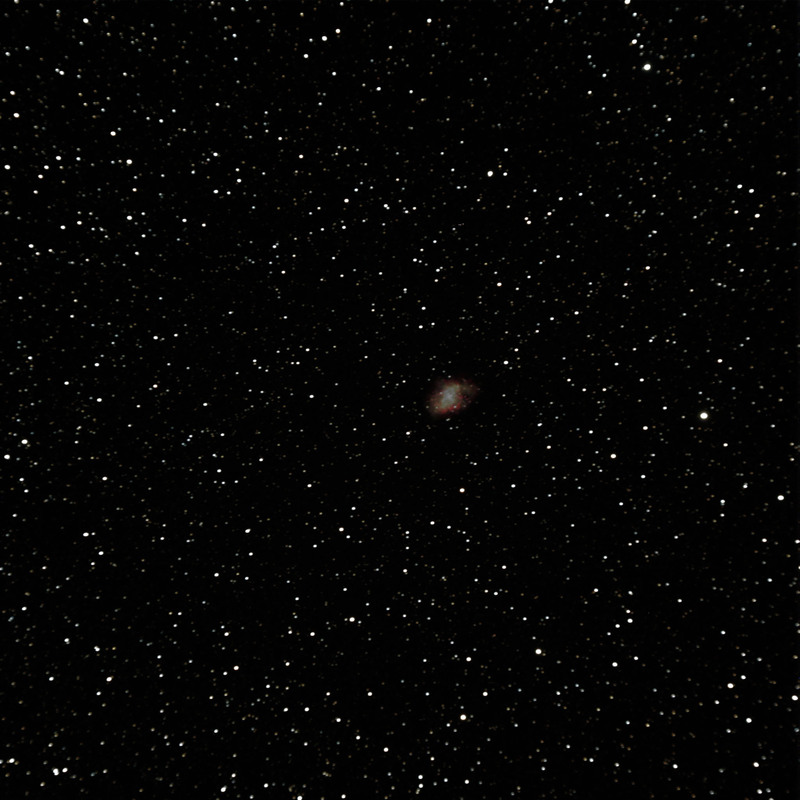 Crop of M1, "The Crab Nebula," click for the full frame. 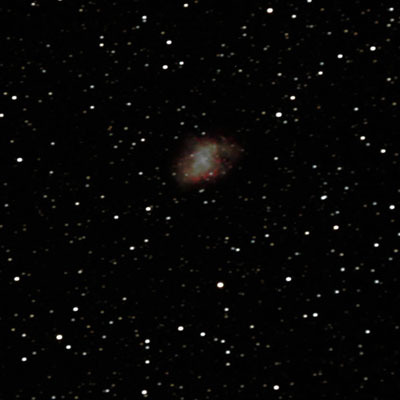 My Crab Nebula is a combination of three ten-minute exposures. It’s not a great image, but still a treat to see the kind of detail that we don’t get to see visually. 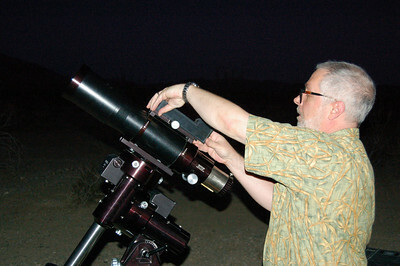 The full-frame image (click to see) shows this small target. 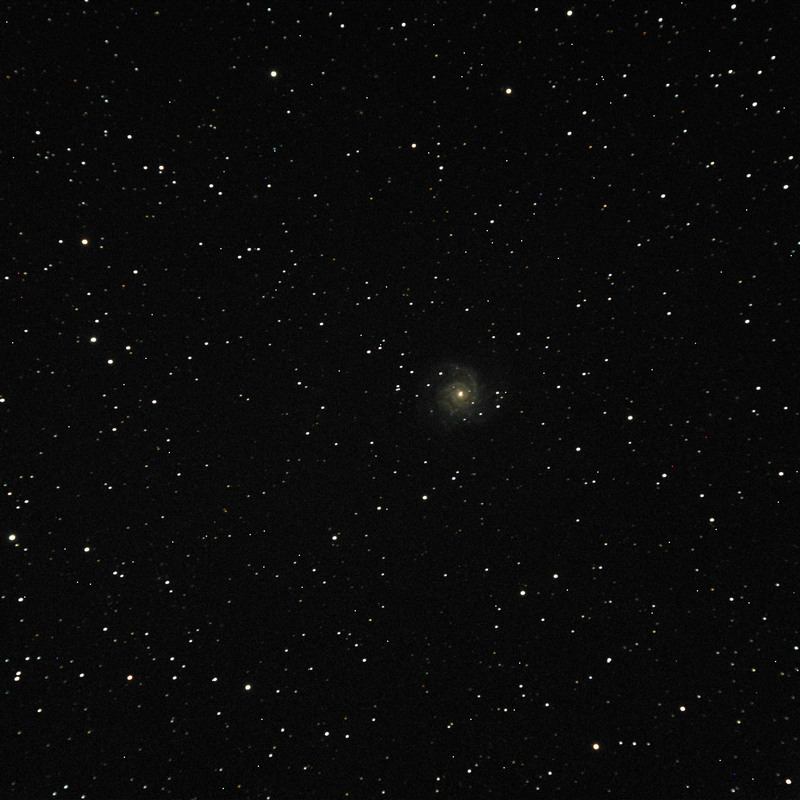 A crop from my M74 image, click for the full frame. 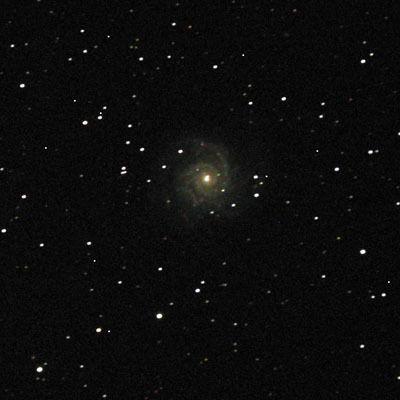 I love galaxies, and M74 is a favorite — for being small, hard to find visually, and a difficult “first target” of the Messier Marathons we do in March. I couldn’t resist trying to get an image of this little gem. I know I need to put more exposure minutes into my images, especially of my favorite faint targets. My backgrounds are still very noisy; my focusing isn’t perfect. Since I don’t get to do this very often, I get impatient and want to grab several targets over an evening. Practice, practice! Gary Spiers snapped pictures as we set up in the desert. Click the image for a link to his photo album from the night. Great job, Mojo! I love the Helix Nebula! I wanted to go out there but I had to work, Get you guys next time!